CodeChef announces 3rd edition of India’s largest Onsite Programming Event, SnackDown 2016! The competition allows coding in over 50 programming languages supported by one of the largest coding platforms, CodeChef. The response received last year, encouraged the organizers to revise the format, facilitating greater participation. 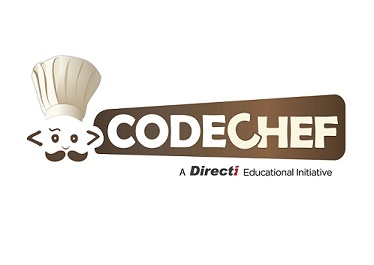 CodeChef, a non-profit educational initiative of Directi, a technology and web products company, announced the much awaited 3rd edition of their annual onsite programming competition SnackDown 2016! After a very successful run last year with 11,000 plus participants hailing from 1602 institutes spread across 131 countries, this year’s SnackDown is getting bigger and truly global. Last year witnessed only the top Indian teams participating onsite, whereas the highlight of SnackDown 2016 will be 25 international teams of the world’s top programmers competing with top 25 Indian teams in Mumbai at the CodeChef headquarters Directiplex. Additionally, slots have been reserved for a middle/high-school team as well as an all girls’ team. The registrations for the SnackDown 2016 will open on 5th May at 2100 hours IST, and will continue till 30th May 2016.